Previous recipients of the Bobby J. Fowler Award join Burton’s wife Linda (second from left) and daughter Shelly (left) to accept the posthumous award from Board Immediate Past President Jay Elbettar (third from left). Each year, the International Code Council recognizes peers and colleagues who are a reflection of what the association stands for: dedication to developing model codes and standards used in the design, build and compliance process to construct safe, sustainable, affordable and resilient structures. The Code Council honored several outstanding individuals and organizations for their accomplishments and contributions to building safety and resiliency in their communities during the 2018 Annual Conference in Richmond, Va. The Bobby J. Fowler Award is the most prestigious award presented by the Code Council. It honors the memory of the first chairman of the Code Council Board of Directors who led the charge to consolidate three regional model code organizations into one association: the International Code Council. The award is presented to a leader who demonstrates integrity, professionalism and compassion in furthering the noble cause of the Code Council; contributes to the building safety industry; and advances a safer built environment. The prestigious 2018 Bobby J. Fowler Award was presented posthumously to William Ronald Burton during the Annual Banquet on Oct. 23, 2018, in Richmond. The Code Council received an outpouring of letters of support for Burton’s nomination and felt it would be a fitting way to honor his legacy in the building safety industry. 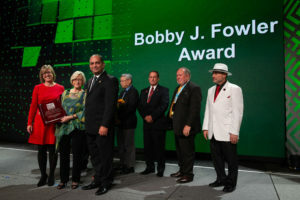 Burton exemplified the true spirit of the Bobby J. Fowler Award. From his commitment to the International Code Council in its infancy to his help creating a single set of model codes for the U.S. and the world, his immense contribution to the building safety industry will never be forgotten. He is remembered for dedicating his career to advancing a broader understanding of the importance of building codes and creating connections among code officials, home builders, and commercial building owners and operators. A devoted advocate for developing critical codes and standards, Burton spent nearly 30 years as an active participant in the building and construction community. He was a member of many organizations, including the Code Council, the National Institute of Building Sciences and the National Fire Protection Association. His genuine ability to connect with people and work across organizational and industry divisions inspired many who looked to him for his professional wisdom. 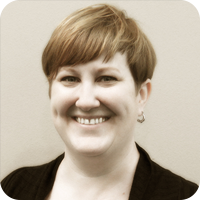 Burton spent two decades working on codes and standards for the National Association of Home Builders and then the Building Owners & Managers Association International. Through his participation on many committees and volunteer positions, he worked tirelessly to promote codes and standards related to energy efficiency, green buildings, accessibility and much more. He was one-of-a-kind, leaving his mark on the building safety industry through the people he mentored, influenced and inspired. His influence on our community is unparalleled.